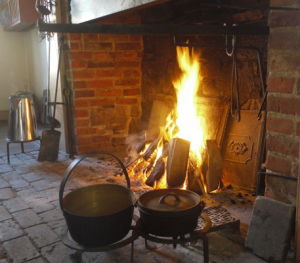 The Irish Polish Society together with the Glowing Hearth’ Poetry Group invite you to a poetry evening. Come and enjoy a welcoming atmosphere. Bring a poem of your choice, either one of your own creation, or of a favourite poet. There will be brief musical excerpts to diversify the event. Refreshments will be served during the break. Poems which are not in the English language should be accompanied by a translation and/or reference to its subject matter. Please note that while the venue can hold up to 30 people, there will be limited seating available. Please register through the link here. 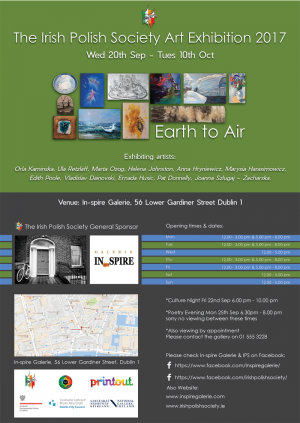 Venue: In-spire Galerie, 56 Lower Gardiner Street Dublin 1. This event is part of the Irish Polish Society Art Exhibition 2017. The Irish Polish Society Annual Art Exhibition 2017 From Wed 20th Sept – Tues 10th Oct This year the group show is taking place in In-spire Galerie, 56 Lower Gardiner Street Dublin 1. Eleven artists are taking part in this exciting group show; Anna Hryniewicz, Pat Donnelly, Helena Johnston, Ula Retzlaff, Marysia Harasimowicz, Marta Ozog, Orla Kaminska, Edith Poole, Ernada Husic, Joanna Szlugai- Zacharska, and Vladislav Dainovski. 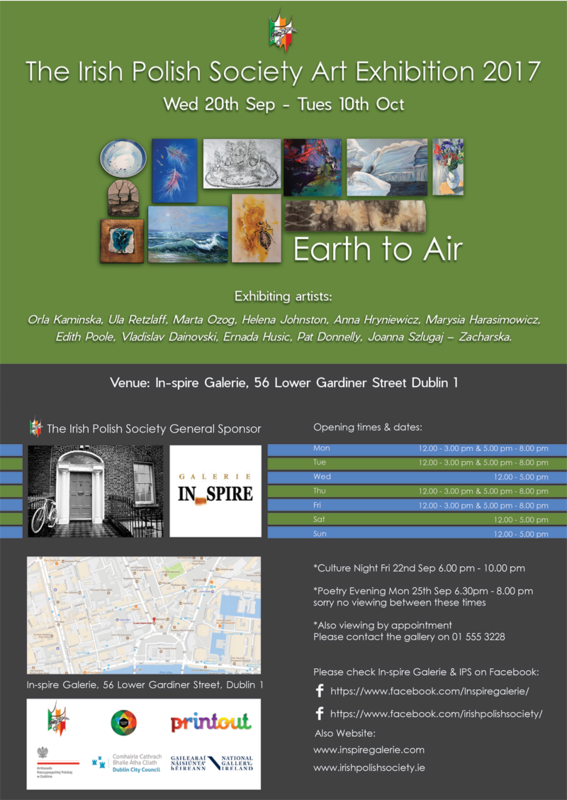 The theme of the exhibition is based on nature, and the title of the show is “Earth to Air” A wide range of medium have been used by the artists- oils, acrylics, prints, etching, inks, pyrography, mixed media and ceramics. 56, Lower Gardiner Street Dublin 1.